Should you be a fan of the musical arts--or even ever took a music class as they are quite popular--you have probably heard of STOMP. Should you be unfamiliar, STOMP is basically a mixture of performance art and music. The twist is that this music is made with items you would not necessarily think of as being musical, such brooms, garbage-can lids. The way these items are put together to create melodies and beats is pretty fascinating and arguably challenges some conceptions of the way we make music, showing how almost anything utilized properly can be a tool to create catchy harmonies. While it had existed in various forms, it wasn't until 1991 that STOMP was actually given its name as two UK residents, Luke Cresswell and Steve McNicholas, brought their groups and ideas together to form the now widely-renowned group. Since then people have joined and left the official cast, but STOMP has always been touring around, performing shows at a set location, and occasionally having specials on HBO, or doing other televised events such as when they performed at the Lincoln Memorial at former President Clinton's, "Millennium Celebration," in 2000 (or more recently, at the close of the 2012 London Olympics). This is not an image from the show I attended, but they did do this piece. I saw STOMP yesterday afternoon with my fianceé and while I had seen videos of the show before, and had attended events like STOMP, it was quite exciting to actually be there watching it live. They did pieces I was familiar with such as using brooms to create a song, but there were other fascinating bits I had never seen before, such as when they used lighters to create quite the spectacle that was both visually and aurally amazing. It is hard to describe a STOMP show as so much of it is something you need to witness in order to understand how cool it all is. Watching it on video doesn't even come close to the excitement of how they interact with you, the crowd, and the energy you can feel from the performers radiating off the stage as they run and jump about with their instruments. 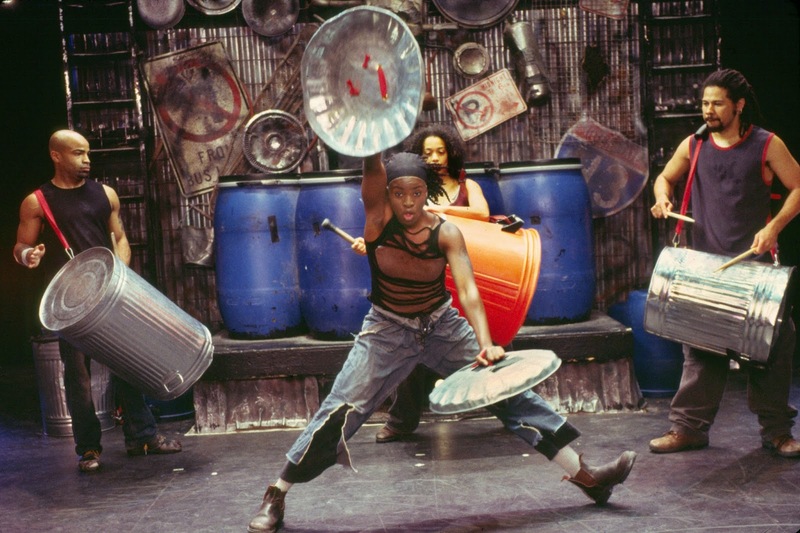 Really, all I can say is that I would encourage you to see a showing of STOMP if you are ever able, and that if you go you'll find yourself having a great time. So yeah, it was a nice way to spend the afternoon for sure.